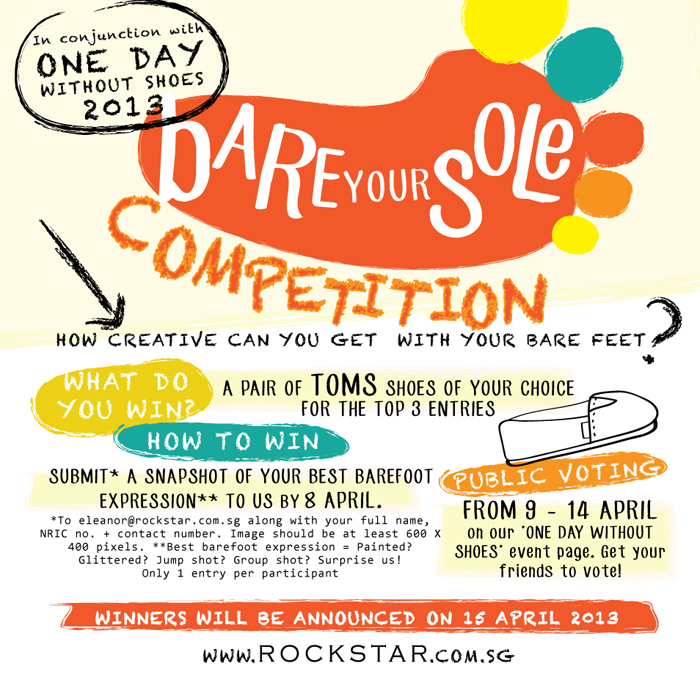 Rockstar Singapore: Get ready to Bare Your Sole! Get ready to Bare Your Sole! Before you join us in going One Day Without Shoes on April 16 (falls on a Tuesday this year), we want to know... How creative can you get with your bare feet? Go on over to our 'One Day Without Shoes in Singapore!' event page on Facebook for full details on what to expect on the big day.